The picture depicts a roadway descending into the Vallée de Denacre opposite Chateau de l’Espagnerie near Boulogne, which Crowe visited in the late summer of 1898. 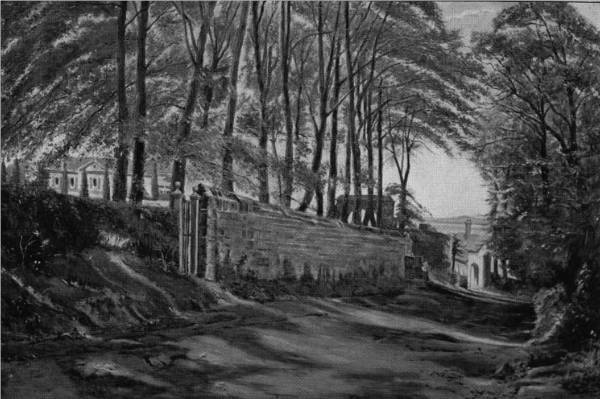 It was highly praised by Crowe’s Royal Academy friends, including Luke Fildes, T. Armstrong and Woods, and George Dunlop Leslie advised Crowe to take up landscape painting rather than figure painting, as the pictures would be certain to sell; however, this painting, then called A Country Lane, was one of those remaining in Eyre Crowe’s possession at his death, and was sold for £5 15 6 at an auction of his remaining works at Christie’s in London on 18 March 1911. Let us … commend Mr. Crowe’s rustic theme in The Way to the Farm (72), which shows the artist almost equal to the work of his earlier years.